The Banbridge and Rathfriland area has been left shocked by the sudden death of former local minister and Rathfriland High School teacher, Rev. David Somerville. Rev. 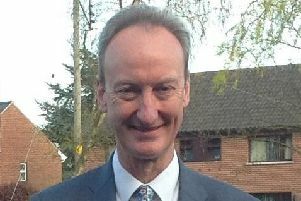 Somerville’s son has told how he has been “overwhelmed” by the outpouring of tributes to him. Ian Somerville, 33, said the death of his father the Rev Somerville at the age of 57 had been “a terrible shock and we weren’t expecting to be at this stage for a long, long time”. The funeral service for Rev Somerville will be held at 1pm today in St Matthew’s Church in Richhill.